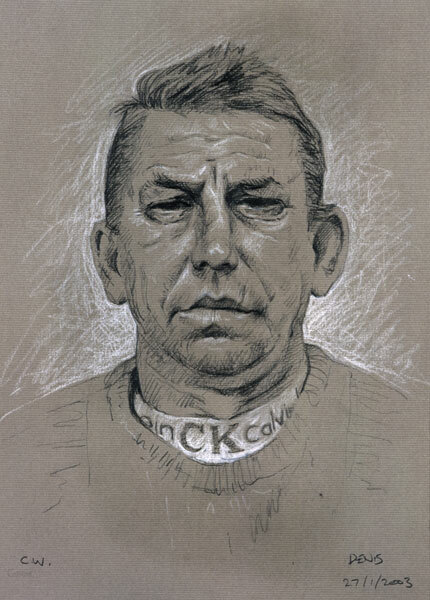 These portrait drawings are of some of Dublin's homeless. They were drawn in the Dublin Simon Shelter, where I worked as a volunteer from 2000 - 2003. They were exhibited at Jorgensen Fine Art from the 15th - 19th of April 2003, all proceeds going to the Dublin Simon Community. The exhibition of drawings sold out: €16,000 was raised for Dublin Simon. Ten of these drawings were acquired by the National Library of Ireland.